My dear mother died on July 19, 1994. She had Alzheimer’s, but her death was hurried along because she was deprived of food and water. My baby sister had medical power of attorney and was convinced by the nursing home physicians that mother would feel no pain. When I found out, I called the nursing home in Illinois and spoke to the medical director. I told him I did not want my mother starved and dehydrated to death. He told me she wouldn’t feel anything. He never said she was receiving any pain medication. I responded that there wasn’t much difference between what he was doing to my mother and what was done by the Nazis to concentration camp prisoners. He answered that my mother could feel nothing because she didn’t have her brain function any longer. Of course, being starved and dehydrated doesn’t help with brain function of prisoners either. I hung up and wept bitter tears. Momma died three days later. I later found out that what was done to my mother had been common practice for several decades. My mother did not deserve this end. Hydration would have kept her body comfortable until God took her home. This is called “Passive Euthanasia.” Euthanasia is Greek for “good death,” but there is nothing good about dying from a lack of hydration. Passive Euthanasia is all too common in America today. It is hastening the death of a person by altering some form of support and letting nature take its course. Examples include such things as turning off respirators, halting medications, discontinuing food and water thus allowing a person to dehydrate or starve to death, or failure to resuscitate. Passive euthanasia also includes giving a patient large doses of morphine to control pain, in spite of the likelihood that the painkiller will suppress respiration and cause death earlier than it otherwise would have happened. Such doses of painkillers have a dual effect of relieving pain and hastening death. Administering such medication is regarded as ethical in most political jurisdictions and by most medical societies, including the special “cocktail” given by Hospice employees. The slippery slope of murdering the vegetative or terminally ill started in l935 in Britain, in l938 in the US, and in l980 in Canada. The British and American groups were very small and insignificant for the next two decades. It became bigger and more vocal after the hugely-publicized Karen Ann Quinlan “right-to-die” case in New Jersey in l976, which revealed to the public the extent of modern medical technology to extend life indefinitely in a persistent vegetative state. Opinion polls show average support of 60 percent in the USA, 74 percent in Canada, and 80 percent in Britain. When actually voting in official ballot measures, the support has been 46 percent in Washington State (l991), 46 percent in California (l992), and 51 percent in Oregon (l994), which now has legalized assisted suicide. As for physicians, numerous opinion polls indicate that half the medical profession would like to see it made law. It also appears that about 15 percent of physicians already practice it on what they believe are justifiable occasions. Some leaderships of the professional medical associations remain adamantly opposed, but they seem to be declining rapidly. Those who object to euthanasia are the hierarchy of the Catholic Church, as well as fundamentalist protestant denominations. Killing an innocent is a crime against the 6th commandment, “Thou shalt not murder.” This commandment forbids the killing of the innocent, not the killing of the guilty, which can be sometimes ordered by the state for the common good. This is clear in the Old Testament where Moses also gave laws to kill the guilty, and in the doctrine of the above mentioned churches. Euthanasia is a crime against the same commandment, just as is abortion. They are both murder. “I SWEAR by Apollo the physician and Asclepius,(the Greek god of medicine and healing) and Hygieia, (daughter of the god of medicine, Asclepius, and the goddess/personification of health) and Panaceia, (another daughter and goddess of Universal remedy) and all the gods and goddesses, making them my witnesses, that I will fulfill according to my ability and judgment, this Oath and this covenant. To hold him who has taught me this Art as equal to me as my parents, and to live my life in partnership, and if he is in need of money, to give him a share of mine, and to regard his offspring as equal to my brother in male lineage and to teach them this art, if they desire to learn it, without fee and covenant, to give a share of the precepts and oral instruction and all the other learning to my sons and to the sons of him who has instructed me and to pupils who have signed the covenant and have taken an oath according to the medical law, but to no one else. I will apply dietetic measures for the benefit of the sick, according to my ability and judgment; I will keep them from harm and injustice. I will neither give a deadly drug to anybody if asked for it, nor will I make a suggestion to this effect. Similarly, I will not give to a woman an abortive remedy. In purity and holiness, I will guard my life and my Art. I will not use the knife, not even on sufferers from stone, but will withdraw in favor of such men as are engaged in this work. Obviously, one does not have to swear allegiance to a Greek polytheistic deity, but swearing the oath to a personal God is a tie that binds. The rest of the oath is pretty clear. Of special import is the portion I highlighted. Sadly today, our medical personnel have decided to speed death along rather than giving aid and comfort to the sick and suffering. They’ve become the “god” who decides life and death. I fear this practice on the sick and elderly will accelerate in the coming years, no, actually I know it will accelerate. For 40 years we have murdered the most innocent, America’s unborn babies. When I wrote the article, The Culture of Death, I said I would write another article regarding after-birth abortion proponents and their plans. I couldn’t bring myself to face the research I’d collected to write that article. The truth of our death culture is often more than I can bear especially with the babies. The elderly in our country have been the targets for decades as well. Instead of being cherished and honored, they are being treated as “useless eaters” that should quickly die. We need to know what to expect, what to alert our loved ones to watch for, and what to tell them we want at the end of our lives. In 1993, Dr. Reed Bell wrote the book, Prescription Death: Compassionate Killers in the Medical Profession. He discussed the changes that had taken place in European countries over the previous 25 years. These changes are now happening in America at an exponential speed. Our culture has changed from a basic Judeo-Christian ethos and ethic to the prevailing secular humanist ethic and ethos. We have moved from a sanctity-of-life ethic to a “quality-of-life” ethic. We have moved from a sanctity-of-life ethic to a “quality-of-life” ethic. One of the most frightening aspects of the euthanasia movement is called crypthanasia, (active euthanasia on sick people without their knowledge). A typical case might be an older person who has suffered a heart attack and is in the emergency room. His problem could be ameliorated with a pace maker, but because of his age and the cost of care, he is denied treatment and is allowed to die, or even assisted in dying (murdered) ~ by a physician who has decided he is not worth saving. This is done without the patient’s or his family’s knowledge or consent. The Judeo-Christian ethic has moved to a quality-of-life ethic and eventually moves to a “compassionate killing” of patients and the “duty-to-die.” Once we’ve accepted the notion there is a “right-to-die,” it doesn’t take much rationalizing to accept the idea that there may also be a “duty-to-die” and that our medical profession has an obligation to help people along in the dying process–even against their will. The Manufacturer’s Handbook is clear throughout both the Old and New Testaments. Clearly, life is a gift, and only God Himself has the right to choose when our lives on earth come to an end. Human beings are not animals but unique beings made “in the image of God” (Gen 1:26-28). God says, “Thou shalt not kill” (Exodus 20:13), and “CHOOSE LIFE” (Deuteronomy 30:19). Life is a gift from God and the moment of death is God’s prerogative. “Seeing his days are determined, the number of his months are with thee, thou hast appointed his bounds that he cannot pass.” (Job 14:5). “To everything there is a season, and a time for every purpose under the heaven: a time to be born, and a time to die; a time to plant, and a time to pluck up that which is planted” (Eccl 3:1-2). Sickness or injury at the end of life can cause suffering that can be trying on the family as well. Yet, again, God says, “Do not be afraid of what you are about to suffer … Be thou faithful unto death, and I will give thee a crown of life” (Rev 2:10). God can heal even the hopeless cases. “…heal the sick, cleanse the lepers, raise the dead, cast out devils; freely ye have received, freely give” (Matt 10:8). “For with God, nothing shall be impossible” (Luke 1:37). The majority of us fighting the onslaught of Communism in our beloved country are baby boomers. 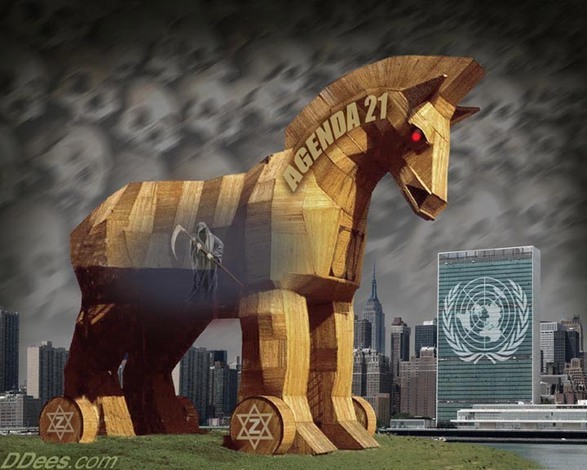 We are the ones the Communists in our governments want to eliminate next, most likely through Obama Care, which is a huge tentacle of UN Agenda 21′s population reduction plans. I’ve had several phone calls from friends whose family members have died in hospital or with hospice. The effort by medical care givers to speed the last breath of the dying is obvious in many cases. This is a question I’m often asked by those of you who read my articles. We’ll look at the church in an article to follow this one. In 1982, I lived in Ellettsville, Indiana, a suburb of Bloomington. At that time I was working as a receptionist for a dermatologist. Across the street from the doctor’s office was the hospital where “Baby Doe” was born with Down’s syndrome. The baby also had an obstruction in the esophagus that prevented normal eating. The tracheo-esophageal fistula was easily treated, but both the parents and the physician agreed to allow the baby to die of starvation. The courts granted the parents and physician the “blessing” of doing this to the infant. Public outrage ensued. Health and Human Services under President Reagan drew up guidelines against federally funded health care facilities allowing handicapped infants to die. Other organizations fought this ruling and the courts struck it down as the government being too invasive into the medical profession. Oh, but they should see the invasiveness today with Obama Care! In the United Kingdom’s National Health Service, when the doctor decides the patient’s condition is beyond treatable, the patient is put on the “Liverpool Care Pathway for the Dying Patient.” (LPC) Many have been sounding the alarm for years that this has led to massive euthanasia of elderly patients. Nearly 30% of the people who die in UK hospitals every year are on LPC. 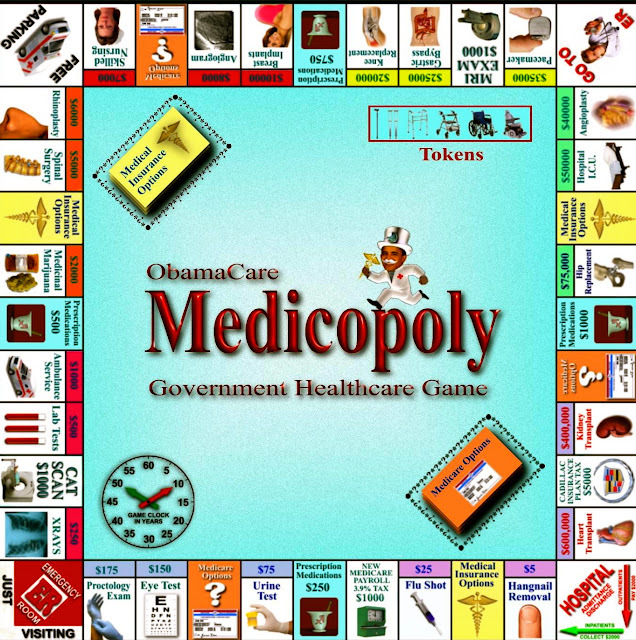 This is what we will be seeing with Obama Care if it is not totally destroyed. It doesn’t need tinkering or “fixing.” It needs to be euthanized totally. What I described above is already happening in our hospitals because of creeping Obama Care. Euthanasia is pushed on the families of the dying by physicians and care givers. Living wills are forced on everyone and you are constantly asked by physicians and hospital personnel if you have a living will. Do you realize how huge it would have to be to cover every circumstance that could happen? The goal is population reduction. The elite want us dead. One must remember, we had the finest healthcare in the world until the federal legislature started passing laws that forced the cost of healthcare to rise exponentially. Why? Many reasons, including additional federally required paperwork for every patient, but mostly because those who could afford to pay for insurance and healthcare were now also paying for those who did not pay for it, including illegal immigrants. Many of the hospitals on the southern border have closed because of bankruptcy. The Hegelian Dialectic has been in play here to cause the desired synthesis resulting in Obama Care, and the complete government control of our entire medical industry. Late last year my good friend’s mother passed away. She was a lovely, dear sweet Christian lady, and I loved talking to her. She had been in pain for several years and yearned to go home to Jesus. Her daughter told me what happened after her mother suffered several strokes at the same time. Here is what transpired. Late one night, Jean suffered up to twelve massive strokes. The 911 ambulance took her to Geisinger Hospital (Geisinger Health System in rural Pennsylvania). The emergency room doctors admitted her to the hospital with IV fluids. That afternoon, the staff wanted to talk to Jean’s family about moving her to Hospice. Jean was initially being hydrated, but without the family’s knowledge, the IV was removed that night. When the older daughter found out, she demanded the hydration be continued. The IV was put back in Jean. The family also preferred Jean remain in the hospital, but they were told that was not going to happen. Geisinger does not want the death statistics on their records. Both daughters were bombarded by the nurses and hospital staff to remove the fluid IVs and get her to a nursing home. They told them that was why there was a respiratory “death rattle,” because of continually being hydrated. This was a total lie inasmuch as people not on hydration have the same respiratory sounds prior to death. Jean’s husband is a pastor and has attended many church members during their last hours, so he knew they were not telling the truth. Remember, dehydration is a painful way to die. Jean’s older daughter told the nurses her mother was responding, but the nurses said she couldn’t be. The girls both knew she was responsive. When her younger daughter said to Jean, “Mom, if you want some water, open your mouth.” Jean smiled and opened her mouth. Also, Jean and her husband had a private joke from their early married days and when he talked to her about it, a big smile would spread across her face. Her daughter told him that her mother gets excited when we talk about heaven and the doctor answered, “Not that! Tell her to open her mouth.” Jean responded to the doctor and opened her mouth. Then he said, “Tell her to wiggle her toe.” Jean wiggled her toe. The doctor realized Jean could hear him and ushered the family into another room. Three of the doctors tried to push the family to move her to a nursing home or Hospice. However, under Medicare, the nursing homes apparently aren’t covered for “comfort care,” which is to simply keep you comfortable until you die. They would have had to pay for comfort care, because Jean didn’t need any skilled nursing. Those who believe they have nursing home care under Medicare, may be surprised to learn that they are not covered unless they need “skilled nursing care,” not just “comfort care” in your last days. The harassment to remove hydration from Jean continued. The staff kept telling the family they were prolonging her life unnecessarily. The doctor was allowing 500 ml. every other day all dumped at once into her now subcutaneous button (IV was removed and this port installed). This amount is nothing in hydration. The doctor had ordered only two cups of water every other day. Obviously, the staff was trying to keep liquid to a bare minimum. Jean’s daughters knew this because Jean’s lips were dry and cracked and she wanted water. Actually it’s “Kill Grandma, get a bonus.” This is explained as a new cost-saving measure that drastically reduces return hospital visits by the elderly, because dead people don’t return to the hospital, of course, and the faster they die, the less cost. The hospital was forcing them to take Jean to either a nursing home which couldn’t give Jean IV care, or to Hospice. Thankfully Hospice had a room open up and it was only a mile from the hospital. Hospice took excellent care of Jean and she remained hydrated. The Hospice workers brought in fresh flowers, sat with Jean and stayed three and four hours over their shifts to be with her until she passed. They dressed her in a pretty lacy feminine nightgown and had lovely sheets on her bed. She was given no special pain cocktails and died peacefully with her family at her side. The hydration did not prolong her life, but it did make her last few days at least comfortable. 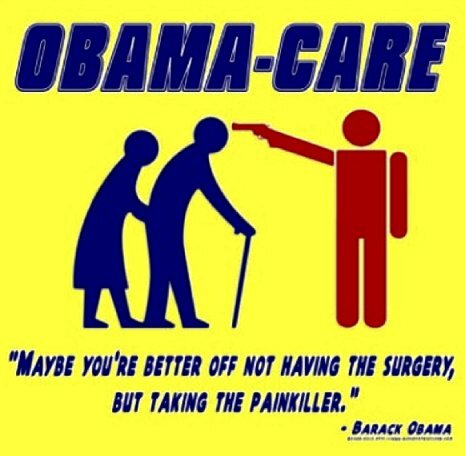 What is the Geisinger Model Obama Praises? Please understand that the Geisinger Hospital Jean was in is considered a model for Obama Care by the President. Obama actually desires all American hospitals to follow the Geisinger model. So, let’s take a look at what it’s all about. “Geisinger hospital is the mother ship of an extensive network of medical practitioners tending to 2.6 million patients in 44 mostly rural Pennsylvania counties. It was founded in 1915 by a widow named Abigail Geisinger and first directed by Harold Foss, a surgeon who had been an assistant to the famed Mayo brothers. Like the Mayo Clinic, it employed a team approach, with doctors paid as employees rather than independent operators cooperating on patient care. 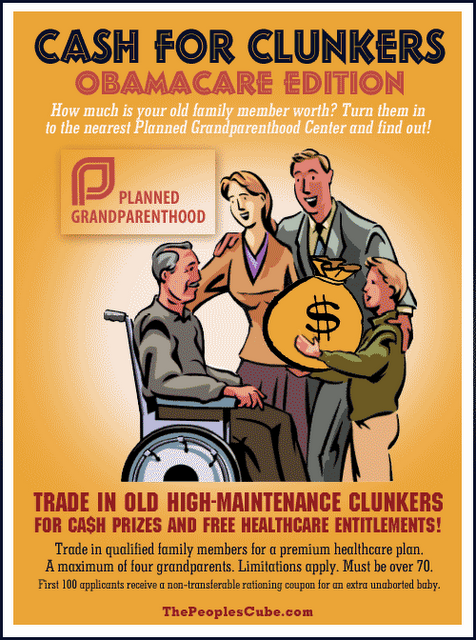 “It’s like hiring a general contractor to supervise the renovation of your house,” says Henry J. Aaron, a health expert at the Brookings Institute.” (Another nasty leftist think tank funded by Rockefeller and Ford Foundations). The accountable-care-organization model, which is the emerging term of art for places like Mayo and Geisinger, became a pioneer in computerization of medical records and analyzing those records. Geisinger’s Proven Health Navigator enrolls patients who are overseen electronically by case managers. The elderly are even contacted in their homes by these case manager nurses to see if they’re taking their medication, eating the right things, keeping their doctor appointments, and even weighing themselves (on Bluetooth scales that send the results to the Geisinger computers). This way Geisinger can decide when “end-of-life” care should commence, or lack of life-giving care should end. Doesn’t this make you feel all warm and fuzzy that a government approved health care facility will be watching over you this closely, and when you step on a scale, the numbers will go to the watchdog! Doctors are paid salaries and “outcome-based performance” bonuses rather than by the services they perform. In fact, Joe Klein’s article states that organizations who embrace these “outcome-based” death panel systems actually receive cash bonuses from the Centers for Medicare and Medicaid Services (CMS) savings plan, when they save more money by pulling the plug on granny! Much of the savings projected for Obama Care would come from a broader application of this Mayo/Geisinger model. The time spent to train physicians in developing a deeper level of patient trust and satisfaction comes in handy when they talk the family into denying food and hydration in order to save those dollars for the better of American health care costs. In this manner, physicians are even able to convince the family that any resuscitation efforts should be stopped and DNR’s (Do Not Resuscitate) should be placed in the patient’s chart. These trained employee physicians tell the patient’s family that dehydration and starvation is not painful. In fact, in Klein’s article, a fee-for-service physician like we’ve always been used to in America would hydrate Klein’s father who was in kidney failure. The Geisinger physicians’ attitude is that the patient would be back to the hospital in just a month or six weeks, so let him die. The physician said, “Renal failure is a good way to go. You just go to sleep.” I often wonder how many of these physicians have actually watched these patients they condemn to no care. Most of today’s doctors, including some of mine, don’t like the Mayo-Geisinger way of doing business. They say, “We don’t want to be robots run by your computers.” Well they shouldn’t be, but Obama Care may force all of them into this new health care model, resulting of course in euthanasia and rationing of care. This is the Geisinger model of health care, being promoted by the liberal rags such as Time Magazine and Newsweek who are fully promoting Obama Care, not just for cost savings, but for quicker population reduction of the elderly baby boomers. Time Magazine’s article, “How to Die,” promotes death panels, killing the elderly to save money (and earning those CMS bonuses! ), and even yanking feeding tubes out of your own dying parents! 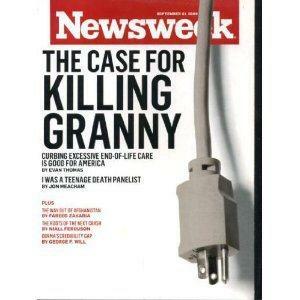 Newsweek’s article, “The Case for Killing Granny,” discusses how curbing excessive end-of-life care is good for America! Here is a story told to me by a dear pro-life friend about the passing of her grandfather-in-law. I’ve heard similar stories many times. “After breaking his hip and getting a replacement at age 92, he was sent home with Hospice. For approx two weeks, Hospice told the family he was to have no water or food, not even ice, even though his 85 year old girlfriend snuck him ice. He would take it. He was cognitive and looked at you and still was laughing at our jokes. My husband used to always pray and read the Bible when he visited. If his grandfather even thought my husband was going to leave without a prayer, he would request him to pray for him. Three days before he was murdered, my husband went to sing hymns to him and his grandfather looked at him and tried to speak, but his mouth was so dry he couldn’t. Grandfather’s daughters were instructed to give him pain meds every two hours, a cocktail of morphine, Benadryl and another one which is a respiratory suppressant. The day before his death, I was massaging the back of his neck and head which rigidity had already begun to set in, he RESPONDED to my touch. The next day, Christmas Eve morning we were with him. The above story is all too common in today’s society, whether it be in a hospital, nursing home, Hospice care facility, or the home of the individual. Hospice did not start out like this and was never intended to be a passive euthanasia or pro-euthanasia organization. There are three individuals who have had the greatest impact on end-of-life care in America: Physician Dame Cicely Saunders; Dean of Nursing (at Yale) Florence Wald, RN, MN; and Elizabeth Kubler-Ross, MD. The originator of Hospice, Dame Cicely Saunders, would never have allowed the inhuman treatment of my friend’s relative. Her Hospice care was guided by her Christian faith and by God’s Word. Dr. Saunders with a patient. Hospice can be extremely beneficial in the care of terminal patients, and as I reported in earlier in this series, they were wonderful to my friend’s mother. Today however, there are many Hospice organizations. This pioneering woman, physician Dame Cicely Saunders, opened the first modern hospice in a residential suburb of London in 1967. Today, St. Christopher’s Hospice welcomes around 4,000 visitors annually and more than 50,000 health care professionals from all over the world visit and train there. Dame Cicely believed in a service that helps those at the end of the life by relieving their sufferings but which would not hasten death in any manner. Saunders originally set out in 1938 to study politics, philosophy, and economics at St. Anne’s College, Oxford University. In 1940, she left to become a student nurse at the Nightingale Training School of London’s St. Thomas’s Hospital. As a student nurse during WWII, she had witnessed terrible pain and suffering. She came to believe three things were important in passing from this world. She felt strongly that people needed relief from physical pain, they needed help with the psychological and spiritual pain of death, and they needed to preserve their dignity. In 1948, she fell in love with a patient, David Tasma, a Polish-Jewish refugee who, having escaped from the Warsaw ghetto, was dying of cancer. He left her 500 pounds to be what he called, “a window in your home.” (Today this would be about $740.00. I don’t know what the exchange would be in 1948.) That act, which helped germinate the idea that became St Christopher’s, is remembered by a plain sheet of glass in the entrance to the hospice. As a result of their conversations and his gift of love, Saunders discovered her mission: to ease all kinds of end-of-life pain. In a 2002 interview for The Daily Telegraph of London, she said, “I didn’t set out to change the world; I set out to do something about pain.” Saunders’ work was a “personal calling, underpinned by a powerful religious commitment,” wrote David Clark, an English medical school professor of palliative care and Saunders’ biographer. After some years in nursing, she went into training for social work. During this time, she vacationed with some Christians, and went through a conversion experience. In the late 1940s, Saunders was working part-time at St Luke’s Home for the Dying Poor in Bayswater. This position was one of the reasons which led her to begin studying in 1951 at St Thomas’s Hospital Medical School to become a physician. Her surgeon friend advised Saunders that if she were dedicated to pain management and caring for the terminally ill, people wouldn’t listen to a nurse. So, at the age of 33, at a time when there were few women doctors, she studied to be a physician. When she earned her medical degree in 1957 she became the first modern doctor to devote her career to dying patients. Antoni Michniewicz had inspired her to name her own hospice for people in the final stage of life’s journey. He suggested she name it after the patron saint of travelers, St. Christopher. It would take her another ten years to open St. Christopher’s Hospice, the world’s first modern hospice, and she’d spend more than 50 years trying to humanize the dying experience for patients and their families. Saunders was dedicated to improving care for the dying and their families. She recognized the value in a person’s life up till the very end, and her vision of end-of-life care is what was so inspiring to many Americans who came to embrace the new way of caring for the dying. One of her legacies is the change in pain management. Saunders questioned practitioners’ fears that their dying patients would become addicted to medications. Rather than respond to pain with intermittent sedation, Saunders’ novel method of pain control provided a steady state in which a dying patient could remain conscious and maintain a good quality of life. Dame Cicely died of cancer at the age of 87 in 2005, at St Christopher’s Hospice, the hospice she herself had founded. Thus, Americans have enthusiastically accepted hospice as it was envisioned and practiced by Dame Cicely Saunders: a service that relieves suffering at the end-of-life but does not hasten death in any manner. Next, we’ll discuss both Elizabeth Kubler Ross and then Florence Wald and their legacies on American Hospice care. 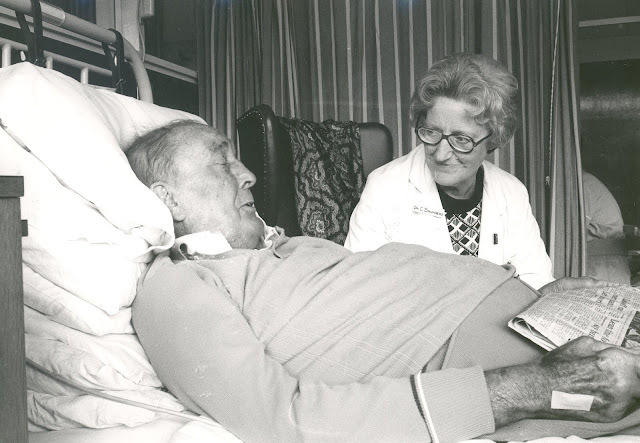 During the same time period when Dame Cicely Saunders developed the basic tenets of Hospice philosophy, Elizabeth Kubler-Ross published results from her groundbreaking studies of dying patients. Her books about the psychological stages of response to catastrophe and her lectures to health professionals helped to pave the way for the development and acceptance of hospice programs in the United States. In her book, “On Death and Dying” she identified five stages of grief ~ denial, anger, depression, bargaining and acceptance. Time Magazine remarked of the book, “It has brought death out of darkness.” The topic and study of death (thanatology) had been avoided by many physicians, and the book quickly became a standard text for professionals who work with terminally ill patients. Kubler-Ross, a Swiss-born American psychiatrist, pioneered the concept of providing psychological counseling to the dying. Hospice care has subsequently been established as an alternative to hospital care for the terminally ill, and there has been more emphasis on counseling for families of dying patients. However, Hospice has not been the American panacea for dying patients which was envisioned in England by Dame Cicely Saunders. Elisabeth Kubler was one of three triplet girls born in Zurich, Switzerland, in 1926. Though she weighed only 2 pounds at birth, she credited her survival to her mother’s attention and love. She witnessed two deaths as a child that made a lasting impression upon her, and brought her to the realization that death was a part of life. Elisabeth’s experiences in Poland, during WWII, as well as her visit to Majdanek Concentration Camp, as a volunteer relief worker, changed her life forever. She decided to spend her life healing others. In 1957, Kubler graduated from the University of Zurich School of Medicine. In 1958, she married Emanuel Robert Ross, an American doctor she met in medical school. They moved to New York for internships at Long Island’s Glen Cove Community Hospital. Kubler-Ross then completed a three-year residency in psychiatry at Manhattan State Hospital and trained for a year at Montefiore Hospital in the Bronx. When their second child was born in 1965, they moved to Chicago, where she became an assistant professor of psychiatry at Billings Hospital, affiliated with the University of Chicago. There, she began to focus on the psychological treatment of terminally ill patients suffering from anxiety. She found that many health professionals preferred to avoid discussing death with them, leaving patients facing death alone. Most health professionals are trained to heal and treat disease, and are not trained in helping their patients face death. Elisabeth led numerous seminars on death and dying with care givers, doctors, nurses, ministers and others. In her 1969 book, Kubler-Ross calls the belief in life after death “a form of denial.” Later, her views shifted dramatically, not to orthodox Christianity, but to new age philosophy. Finally, at the age of forty-six, she quit that post to do research on what death is like and to conduct weeklong workshops on life, death, and the transition to afterlife. Kubler-Ross’s research had convinced her that there certainly was an afterlife. She was enamored by stories of near-death experiences (NDE’s) and experienced her first apparition about this time. Elisabeth claims that a former patient of hers appeared to her when she was thinking of giving up her work. The woman, Mrs. Schwartz, got into an elevator with her and accompanied her to her office where she told her not to give up her work on death and dying. Kubler-Ross thought that she must be hallucinating because the woman, Mrs. Schwartz, had died ten months earlier. But when she asked her to write the date and sign a note the woman did so before disappearing. (4) being in the presence of the Highest Source and undergoing a life review. Her transformation brought a following of New Age spiritual seekers but cost Kubler-Ross much of her credibility in mainstream medical and academic circles. Elisabeth came to believe in parapsychology and out-of-body (OBE) experiences. According to parapsychologists, there are different types of OBE’s. Reciprocal apparitions of the living are those in which experients (those experiencing the OBE) and agents see each other. “Bilocation” is a person’s ability to be in two places at the same time. The agent’s appearance is called a double. These events may be spontaneous, intentional and drug or electronically induced. NDEs, are those in which people, declared physically dead, leave the body, observe what’s happening, return to the body, and describe the experience. 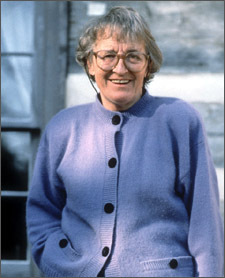 Elisabeth Kubler-Ross was one of the major pioneers in this phenomenon. In previous centuries, when psychic phenomena were called the “occult,” OBEs were called astral projections. In 1875, occultist, Madame Helena Blavatsky established the Theosophical Society to study Eastern religions and science. She based her teachings on what she learned from sojourns in Asia. According to Theosophists, human aren’t entities of their physical bodies, but are theorized to be complex creatures of many ones. There’s an astral body that’s thought to be a replica of the physical one. The concept of an astral body was related to OBEs when paranormal phenomena were called the occult. It was postulated that the astral body, attached to the physical one by a silver cord that traveled. It was believed that, if cords broke, experiments would die. In 1990, Elisabeth moved to Virginia and bought a 300 acre farm in the Shenandoah Valley. She founded the Elisabeth Kubler-Ross Center on the property. She planned to adopt AIDs infected babies and bring them to her Center. However, this was met with great hostility. She suffered a series of break-ins at the Center, and her home and all her possessions were burned in a suspicious fire. Her son convinced her to move to Arizona and this is where her Foundation is today. Shortly after her move, she suffered a debilitating and paralyzing stroke. In her autobiography, The Wheel of Life: A Memoir of Living and Dying (1997), Kubler-Ross said she was enduring a “miserable” life resulting from pain and the limitations of her paralysis. Although she was “anxious to graduate” she remained opposed to efforts to foreshorten life (p. 280). Instead, she asserted that “our only purpose in life is growth” and that her task in these circumstances was to learn patience even as she was totally dependent on others for care (p. 281). Although she opposed physician assisted suicide, and detested the likes of Jack Kevorkian, she apparently changed her mind on suicide as a legitimate option. She died August 24, 2004. Sadly, Elisabeth Kubler-Ross’s path in life never attained the peace and understanding of the Christian doctor and original Hospice founder, Dame Cicely Saunders. The chapter will focus on agnostic and pro-euthanasia American Hospice founder, Florence Wald, RN, MN, former Dean of Nursing at Yale University. 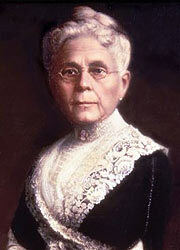 Florence Wald is the most famous leader of the modern American hospice movement. She was born Florence Sophie Schorske in New York on April 19, 1917. She received a B.A. from Mount Holyoke College in 1938 and an M.N. from Yale School of Nursing in 1941. She received a second master’s degree from Yale University in mental health nursing in 1956, and became an instructor at the school’s nursing program. In 1959, she became Dean of Yale’s School of Nursing. The Yale School of Nursing was founded in 1923 with funding from the Rockefeller Foundation. Wald’s entrance into hospice came about after she attended a 1963 lecture at Yale by Dr. Cicely Saunders, founder of St. Christopher’s Hospice in London. Saunders’ lecture emphasized minimizing pain in terminal cancer patients so that they could focus on their relationships and prepare for death. Wald immediately began reshaping the nursing school curriculum to put more focus on patients and their families and to emphasize care of the dying. Feeling further effort was required, Wald resigned as dean and went to London to study at St. Christopher’s. Upon her return, she organized the first U.S. hospice in Branford in 1971. Connecticut Hospice, which began by offering in-home care but eventually built its own inpatient facility, became a model for hospice care here and abroad. Florence Wald, an agnostic and secular humanist, was an open advocate of euthanasia and assisted suicide, while Saunders, a devout Christian, opposed the practice and believed hospice made it unnecessary. So, is Wald saying assisted suicide should be made available for society’s economic needs? Or perhaps she’s referring to the family’s inheritance? Economic because it costs the family too much or the health care system too much? Social reasons because a dying family member is a stressful situation on the family? Wald’s pro-euthanasia type of hospice is what is being delivered in many parts of this country, though many hospice professionals will strongly deny that. Those who do remain faithful to Dr. Saunders life-affirming vision, who relieve the suffering of the dying until a natural death occurs in its own timing, will say they do not hasten death. Those who do hasten death will say the same. The public often has no way of knowing which type of hospice their loved one will experience. Many hospice leaders have spoken out against euthanasia and assisted suicide, and the whole American hospice movement has rapidly expanded since its inception. In 1983, Congress required Medicare to pay for hospice care, which put the treatment in mainstream medical practice. According to the Center for Nursing Advocacy, in 2010 over 5,100 hospice programs served nearly 1.6 million patients a year in the United States. Hospice was once a grass-root, home-based model of end-of-life care, but is now part and parcel of corporate medicine. In 2005, for-profit organizations accounted for half of all hospices, and they charted profits of about 12 percent from 2001 to 2005, according to the Medicare Payment Advisory Commission (MedPAC). Hospices that remain true to the Cicely Saunders’ life-affirming mission will not hesitate to proclaim the sanctity of life, while they intervene to relieve suffering at the end-of-life. Those for-profit and volunteer hospices that are willing to hasten death normally do not speak about the sanctity of life, and they do not teach their staff to never impose death. In fact, their training results in quite the opposite. The hospice industry has marketed itself as this “compassionate thing” that exists all over the country and is filled with angelic staff who care and work the kind of wonders Dame Saunders encouraged. There are thousands of stories of wonderful care received from hospices and how the patient and the family have benefited. There are also thousands of stories of patients being put to an early death by overdosing with pain cocktails or by dehydration and starvation. There has been a very slick, sophisticated and well-financed campaign to completely twist the positive contributions of hospice into something the public would never openly accept. To be perfectly clear, water and sustenance are not heroic efforts to keep the dying alive. This is keeping the patient comfortable. When sustenance cannot be delivered, at least hydration can be given to keep the body comfortable. However, there comes a point where the patient’s body shuts down, and neither food nor water are desired or taken and death is imminent. Terminal or palliative care is used by a majority of hospices today. This often involves permanently sedating the patient, allowing the patient to dehydrate and die. It looks outwardly peaceful as the patient is made to sleep in a medically-induced coma, but the patient’s death is the result. Terminally-sedating the patient is something that can be done in hospice that doesn’t outwardly appear like euthanasia where a lethal agent is given. (Morphine is the potent opiate which directly effects the central nervous system. It has neurotoxic effects on the brain. Overdoses lead to asphyxia and respiratory depression. It slows metabolism, causes incontinence, and has acute and chronic effects on the endocrine system, blood, the heart and lungs. The hospice “cocktail” usually consists of Ativan, Haldol and Morphine). It also doesn’t outwardly appear like assisted suicide where a patient takes a lethal medication prescribed by a physician. Terminal sedation is more subtle and deceptive. This is what happened to my friend’s relative who I told about in Part 3. The man wanted to be with his family, but food and water was denied by hospice. (Yes, there are hospices that refuse to give any food or water and you must sign on to that when they are hired.) The sedating “cocktails” were given to the point where respiratory function was decreased enough to cause early death. Palliative medicine is commonly used by hospice to relieve many symptoms of the dying patient. It is precise and tuned especially for each patient’s illness. However, there are facilities wherein every patient is sedated because all the patients are “agitated.” It is a perversion of hospice as well as palliative care. It is a deliberate railroading of patients to an imposed death, a hastened death through “palliative” or “terminal” sedation. Unfortunately, it is used way too often on patients who are not having severe, intractable symptoms that cannot be controlled while they are conscious. “In many cases, the Adult Protective Service system is even used to intimidate those who truly care about the patient and object to clinically unnecessary or harmful interventions. These can be as common as giving morphine when there is no pain, sedating a patient who is not agitated, depriving the patient of needed medications when they are still benefiting from them or not providing food and fluids as needed when they patient is still benefiting from them. Many supporters of the sanctity of life simply do not know how deep this all goes and how successful the heirs of the original Euthanasia Society of America have been in our nation. They do not know how the Euthanasia Society is connected with the largest segment of the hospice industry in America, and when some have finally understood it, they have been shocked. Most of those who affirm the sanctity of life view hospice as the rightful alternative to euthanasia and assisted suicide. Sadly, this is becoming a rarity. The largest hospice organization in our nation is the successor organization to the Euthanasia Society of America. According to the most prominent hospice leaders in the world, many hospices in the United States today have no reservations about hastening death through “terminal sedation,” or “palliative sedation.” Federal regulations governing hospice are far fewer in number than those protecting patients in nursing homes or hospitals, or that state agencies inspect hospices less frequently than nursing homes or hospitals. Some hospices may go years without being inspected at all. Because of the HIPAA privacy regulations, nobody interested in researching what is actually going on in hospice can get access to the data, so hospices that have an agenda can act without any outside interference or supervision. Unlike Dame Cicely Saunders, a majority of leaders at the top of today’s hospice certainly look nothing like the sanctity-of-life hospice Dr. Saunders founded, yet they pretend to be. They are what we call utilitarians ~ interested in the profits, and expansion of their influence and business. 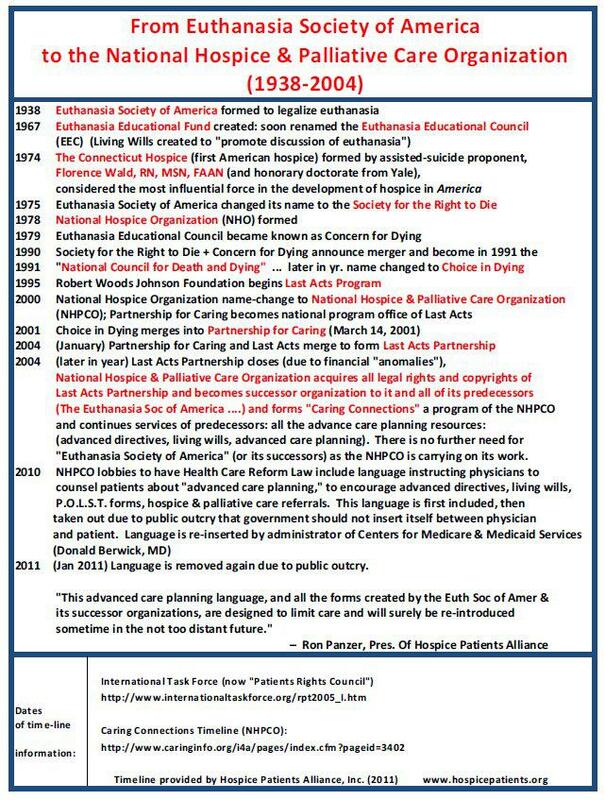 The leaders at the top of the National Hospice & Palliative Care Organization (“NHPCO”) are the Euthanasia Society of America’s heirs and benefactors philosophically. The NHPCO is legally and corporately the final successor organization of the Euthanasia Society in the very strictest sense of the terms. Several people who work with the elderly and dying have contacted me with first hand stories of what they’ve seen with hospice care. Others have been family members who have witnessed the lack-of-care in nursing homes and hospitals, as well as the euthanasia tactics of many hospice care givers. Still, some have been treated to wonderful care, the sanctity-of-life treatment Dame Cicely Saunders wanted for all of us who will eventually face death. Next we’ll look at the origin of “Living Wills,” the changes to Medicare/Medicaid, and the non-profit and for-profit Hospice organizations and salaries. The first living will was conceived in 1967 by Luis Kutner, a human-rights lawyer in Chicago, and cofounder of the pro-abortion Amnesty International, in conjunction with the Euthanasia Society of America. The living wills were distributed by the Euthanasia Society. Luis Kutner’s musings about death anticipated the day when medicine would cross the line from prolonging life to prolonging dying. In 1967, he wrote his first ”living will,” a document that allows a person to specify under what conditions life-support systems should be discontinued. In 1930 Mr. Kutner helped found an American chapter of the Euthanasia Society, modeled after an English counterpart that included, playwright and eugenic extremist, George Bernard Shaw and Julian Huxley (the first Director-General of the United Nations Educational, Scientific, and Cultural Organization (UNESCO) and a member of the Eugenics Society). The idea did not catch on, but in 1938 the Rev. 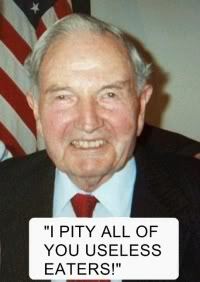 Charles Potter founded the Society for the Right to Die. In April, 1984, a team of prominent doctors published in the New England Journal of Medicine a set of guidelines for treatment of gravely ill patients, concluding it was ethical to withhold nutrition and even medicine if it only prolonged a painful death. Anyone who doubts that the Living Will, which is urged upon all Americans, comes from the Euthanasia Society can read the main article proposing its adoption written by attorney, Luis Kutner in 1969 entitled, “Due Process of Euthanasia: The Living Will, A Proposal,” [Indiana Law Journal v. 44, 1969, p. 549] The Living Will was written to create a due process of euthanasia. In addition, in 1970, the Euthanasia Society of America distributed 60,000 living wills. They knew where they were leading American society, but the misguided, trusting Americans couldn’t see it. Kutner’s intention in creating the Living Will was to provide a way that governmental authorities could allow a form of euthanasia. The living wills were “sold” to the public as patients determining what type of care they would or would not want, but their main effect is to limit care that might allow them to live longer, an incremental step toward open euthanasia. The euthanasia-supporting organizations gave us the Advance Directives and the Living Wills, and now we have the P.O.L.S.T. forms (Physician Orders for [Limiting] Life-Sustaining Treatment) which are spreading across the country. Even though the public today never thinks they are agreeing to “euthanasia” when they make out a living will, the effect of filling one out can interfere with getting treatment if you change your mind and want care. For example, some physicians will “write off” patients who have a Do-Not-Resuscitate order or a Living Will and simply provide “comfort care” while refusing to treat easily-treated problems. The result is ultimately death for the patient. If you are having any form of surgery, one of the first questions you’ll be asked is if you have a “living will.” If you do, I’d suggest you destroy it. If you don’t, then congratulations, you’re one of the few who have refused to be brainwashed into providing a way for the medical industry to deny you care, and perhaps bring about your early demise. Going from a Medicare/Medicaid reimbursement system that pays fees for each service provided, to a system that has a cap on payments made for all services provided to a patient is one of the most significant changes to Medicare ever made and will certainly result in drastic changes. In Part 2 of this series I told about the Geisinger Hospital programs President Obama has praised. They have already moved away from the medical standard of fee-for-service. Hospitals will have to change what tests, surgeries and treatments they provide if they know the amount they will be paid is capped for each patient they serve! This certainly will result in more people dying for lack of care, or needed life-saving surgeries, or even for surgeries like knee or hip replacements. The changes to Medicare/Medicaid are not being seen by the majority of the public, nor are they being reported by the controlled media. These changes are also being made to all health care. 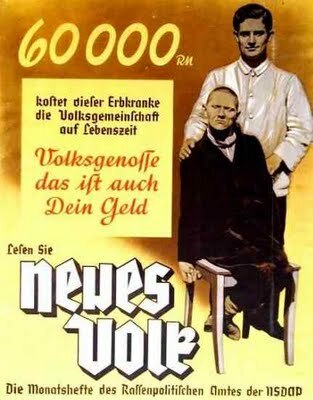 We are quickly moving from a sanctity-of-life society to one that closely resembles Hitler’s eugenics program, targeting the elderly and disabled for early death. The changes aren’t for efficiency, they’re for something else. Those of us on Medicare or Medicaid are already experiencing the decisions made by unelected bureaucrats in D.C. (Remember, in older dictionaries, “Soviet” is defined as unelected councils.) America’s seniors are stuck with Medicare even though in 1965 when it became law, it was a “voluntary” program. Lyndon Johnson pressured all private health insurers to cancel all policies available to seniors. And get this, if a senior wants to opt-out of Medicare they have to give up their Social Security, even though we’ve paid into it all our lives. Only the very wealthy (think politicians) can opt out. Medicare is a monster program that has NEVER been run efficiently and has been crippled by fraud from day one, and is in enormous debt. Both political parties are silently promoting the stealth euthanasia already begun long ago in America. The past generous benefits of Medicare are to be phased out to make the program more “efficient.” The politicians tell us there is no rationing of care, and truly there are no “formal” death panels. However, they have set in motion the processes that reduce reimbursement under the guise of “limiting expenditures,” or “keeping costs down,” and these processes will result in rationed care. The HMOs, and private health insurance companies will make decisions knowingly resulting in denied tests, denied treatments, and certain death in many cases. When the federal government completely takes over health care, test and treatment denials will be the equivalent of death for many. 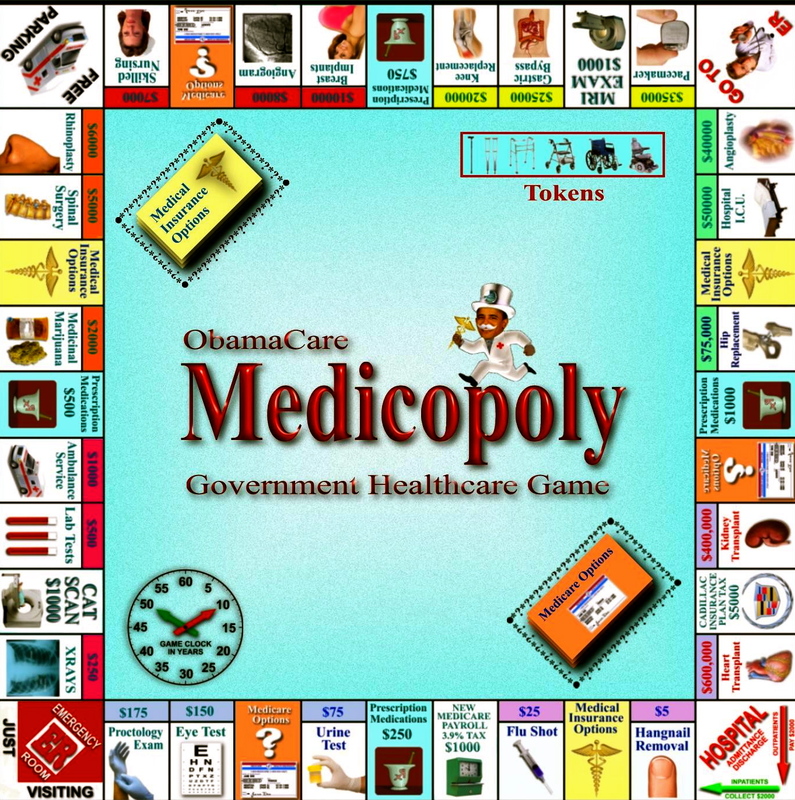 Obama Care creates several methods which are likely to result in rationed care. The “Independent Payment Advisory Board” (IPAB) is allegedly not allowed to make recommendations that result in rationing, but it can and will exert pressure on providers by reducing how much they get paid to provide a service. It’s all about our money folks. “The IPAB would consist of 15 members appointed by the president (and confirmed by the Senate), empowered to decide what medical tests and procedures Medicare would cover and how much it would pay providers. However, giving this power to the IPAB would put tremendous medical decision-making in the hands of unelected officials with minimal accountability. We’ve already seen a foretaste of this when a federal government medical panel attempted to save money by restricting screening mammography to women over age 50, even though decades of medical research has shown clear benefits to starting annual mammograms at age 40.”Although the Obama administration stated that the IPAB would not ration medical care, its power to set payments to doctors and hospitals would give it de facto rationing power. Once the feds take over management of the entire health care system, (as in Medicare and Medicaid), it will have control over how care is delivered, what care is available, and who receives the care ~. or not. It controls how much providers are paid…the very reason physicians are being driven from the field! According to the Association of American Medical Colleges, America will face a shortage of more than 90,000 doctors in 10 years. With the growing population of baby boomers and the shortage of doctors, anyone with a brain can see what will happen. The Agenda 21 planners will eliminate a good many of us just because we can no longer receive lifesaving care. Politicians of both stripes are promoting palliative and hospice care as the destination for us all. There is no need for the “death panel.” Rationed care will result in early death for the elderly, ill, and disabled. “There were more than twice as many Medicare hospice patients in 2008 than in 1998.” ~ Hospice Data 1998-2008 ~ Centers for Medicare Services. With the number of patients, i.e., “customers,” increasing by 10% every year, without fail, the Corporate Hospice industry will grow exponentially. “Expenditures for the Medicare hospice benefit have increased approximately $1 billion per year. In fiscal year (CY) 1998, expenditures for the Medicare hospice benefit were $2.2 billion, while in CY 2008, expenditures for the Medicare hospice benefit were $11.2 billion.” (Source: Health Care Information System (HCIS)].” ~ Hospice Data 1998-2008 ` Centers for Medicare Services). In 2009, only about 40% of hospice patients were cancer patients. However, in the 1980s, almost all of them were! Patients are now being shunted into hospice because they are elderly, some may be weak, others with minor non-Alzheimer’s forgetfulness, and not always with terminal diseases. Sometimes the elderly are not receiving proper care, either by family or in nursing homes and become frail and weak. Then they are shunted into hospice. The plan is for 100% of Americans to die in Hospice. The cost for acute care is much too high to be “sustainable,” according to our government. Some private insurers are creating “Advanced Illness” programs where patients are admitted for care by a hospice agency even though they are not expected to die within six months. This appears to be a move to save money by having patients die sooner with fewer or no hospitalizations, thereby saving the private insurance company (and the government) significant expenditures and increasing profit. What used to be a strictly volunteer program for the dying patient is now very big business. The CEO of the largest nonprofit hospice in the country, Hospice of the Florida Suncoast, is Mary Labyak, and she has told her staff, “We’ve got to corner the market.” This is corporate mentality, and it’s all about money, not caring for the patients at end-of-life. Labyak’s salary in 2009 was $320,347. Labyak is regularly placed on the board of directors of the nation’s largest hospice lobbying group, the National Hospice and Palliative Care Organization. Hospice of Michigan, Inc., the second largest nonprofit hospice in the U.S., reports it paid $447,008 in 2009 to its CEO, Dorothy Deremo. Hospice of the Western Reserve, Inc., the third largest nonprofit hospice in the U.S., reports it paid $323,740 in 2008 to its CEO, David Simpson. The top level policymakers, most of them unelected, have decided that people will die in hospice or palliative care units, and that they will be pushed into hospice through a wide variety of means. Researchers at Duke University found that hospice reduced Medicare costs in 2009 at about $3.6 billion. With the baby boomers aging, imagine the increase in “cost savings” for the government as hospice doubles in the years to come. Link Willard Gaylin, MD, co-founder of the Hastings Center is a proponent of euthanasia who applauds the efforts to expand the definition of “death” in order to overcome obstacles to legally performing euthanasia. Gaylin is widely accepted in the mainstream media and policymaking circles, and the Hastings Center is one of the organizations that has most influenced the modern American hospice industry to betray its original mission to care, not kill. If patients are hurried along toward death, the savings skyrocket. Obama Care’s cost savings will come from the baby boomers being euthanized quickly rather than being treated for illnesses, chronic or otherwise, at the end of their lives. Not only is this part of the United Nations Agenda 21 plan of population reduction, but this will rid America of those who still remember what this country was founded on and our God given rights. We are considered “useless eaters.” The plan is a fait accompli. Next we’ll discuss the policy makers and those who fund the euthanasia and assisted suicide through the World Federation of Right to Die Societies, one of which is, of course, the National Hospice and Palliative Care Organization. H.G. Wells in Anticipations (1901), described the coming “world state” where there would be “the merciful obliteration of “weak and silly and pointless” people. Ezekiel Emanuel, MD, who our President appointed Health Advisor, promotes the “Complete Lives System” that is being implemented to ration care. Donald Berwick, who our President appointed administrator of the Centers for Medicare and Medicaid Services, is a strong proponent of “Comparative Effectiveness Research” which will also be used to ration care. (In the United Kingdom, rather than focusing on the individual needs of patients, the National Health Service (NHS) uses comparative and cost-effectiveness information to limit options as a budgetary tool.) There is little doubt the same will happen in the US. Our President appointed John Holdren as “Science Czar.” Holdren is the co-author of the 1977 book, Ecoscience that promotes ideas like forced sterilizations and abortions to limit population growth, compelling single mothers to give up their children to others, putting chemicals in water supplies to prevent births, and a planetary world government that would implement these ideas for the good of the world. These are the people in society who Emanuel considers “useless eaters.” They are no longer productive, and therefore, these vulnerable citizens should die. This is not surprising since Dr. Emanuel is a fellow at the Hastings Center ~ the same Hastings Center co-founded by the euthanasia proponent, Willard Gaylin, MD ~ the same Hastings Center whose other co-founder, Daniel Callahan, explained in 1983 that taking all food and fluid away from vulnerable patients was probably the only way to make sure certain patients actually die (without legalization of euthanasia in America). Robert Wood Johnson II built the family firm of Johnson & Johnson into the world’s largest health products maker. He died in 1968. He established the foundation at his death with 10,204,377 shares of the company’s stock. The Robert Woods Johnson Foundation has given the Hemlock/Partnership for Caring and Last Acts merger, now known as Last Acts Partnership, over $1 million. According to the foundation, a longtime supporter of Planned Parenthood and euthanasia, Last Acts was the launching pad for an $11.25 million grant to “elevate awareness” and “inspire improvements” on end of life health care. The Johnson Foundation stated, “The program works at a number of clinical sites to encourage doctors to introduce palliative care earlier in patients’ diagnoses and to change the culture of medical institutions, which often focus exclusively on cure.” In other words, promote euthanasia, but do it deceptively. The Soros project plans to act as a resource center to encourage other donors to support death-and-dying causes. Robert Woods Johnson Foundation is still making grants and supporting the work to change how Americans think about dying and how they die. They are funding the National Hospice & Palliative Care Organization’s “Caring Connections” program. The leaders at the top of the National Hospice & Palliative Care Organization (“NHPCO”) are the Euthanasia Society of America’s heirs and benefactors philosophically. The NHPCO is legally and corporately the final successor organization of the Euthanasia Society in the very strictest sense of the terms. The World Federation of Right To Die Societies (which “consists of 44 right to die organizations from 25 countries), states that it “strongly believes the manner and time of dying should be left to the decision of the individual, … and that the voluntarily expressed will of individuals, … should be respected by all concerned as an expression of intrinsic human rights.” The list includes many well-known pro-euthanasia organization names, Death with Dignity, Choice in Dying, Final Exit, etc. Listed prominently in the successor organizations of the Euthanasia Society of America is none other than the familiar hospice organization, National Hospice and Palliative Care Organization! Why shouldn’t it be? The NHPCO commonly gives out living wills, and advance directives. The following article exposes George Soros’ Social Agenda for America. His puppet, Barack Obama, is doing his bidding with the passage of The Patient Protection and Affordable Care Act! Many of Soros’ policy interests appear quixotic. Euthanasia, like drug use, has little public support, and Americans look at public policy proposals to make it lawful with reactions ranging from skepticism to revulsion. Soros, however, approaches the popular reaction as an opportunity for public education. His grant making in this area is a form of national tutoring that he no doubt expects will eventually have a long-term impact–reaching even to rulings of the U.S. Supreme Court. In a November 1994 lecture at Columbia Presbyterian Medical Center in New York City, Soros revealed one motive for his interest: “Voters in Oregon just approved a law that makes it the first state to lift the prohibition against physician-assisted suicide. As the son of a mother who was a member of the Hemlock Society … I cannot but approve.” Founded in 1980, the Hemlock Society is a nonprofit group that advocates the right of the terminally-ill to commit suicide and calls for passage of laws permitting physician-assisted suicide. That year Soros began giving money to start the “Project on Death in America” (PDIA), whose purpose is “to understand and transform the culture and experience of dying and bereavement through funding initiatives in research, scholarship, the humanities, and the arts, and to foster innovations in the provision of care, public education, professional education, and public policy.” OSI (Soros’ Open Society Institute) remains a strong supporter of PDIA; in 2000 the foundation contributed a three-year $15 million grant to sustain its mission. Soros’ goal is to transform American attitudes toward death by changing public attitudes about physician-assisted suicide. At a conference funded by PDIA, Dr. Robert Twyncross of Oxford University, lectured participants about America’s medical system. Twyncross lamented that U.S. medicine was “hell-bent on defying death”” ~ as if that were wrong ~ and referred favorably to Britain’s socialist health system. In 2000, OSI also made grants to the Death with Dignity National Center ($100,000) and the Oregon Death with Dignity Legal Defense and Education Center ($75,000). National Death with Dignity describes itself as “the premier educational organization dedicated to discussing physician aid in dying openly, seriously, and with intellectual rigor.” The Oregon group works to make the state the first to allow “terminally ill individuals meeting stringent safeguards to hasten their own deaths.” Founded in 1993, it would make it legal for ailing people to obtain lethal drug prescriptions. In 2001, PDIA made grants totaling $5,105,000 to groups concerned with what’s called “end of life” assistance for ailing people, such as palliative care for the terminally ill elderly. Other programs such as the PDIA “Social Work Leadership Development Awards” aim to increase the prestige of social workers committed to “end of life care” and help make them “mentors” and “role models” for a new generation of social workers. The World Health Organization (W.H.O.) and George Soros are tightly intertwined. Kathleen M. Foley, MD is the medical director of the International Palliative Care Initiative of Soros’s Open Society Foundations Public Health Program. They are working to advance palliative care globally, but not the palliative care of those who respect life. Instead, this is “palliative sedation,” as described in Part 5. The George Soros-funded group, together with Robert Woods Johnson Foundation, financed much of the extreme changes in end-of-life care through the 1990s and up to the present time. The booklet, “The Solid Facts, Palliative Care,” edited by Elizabeth Davies and Irene Higginson, and distributed by W.H.O., was supported by the Floriani Foundation with collaboration of the Soros-funded Open Society Institute! Other members of WHO’s palliative care leadership team include, among others, Joanne Lynn, MD. Elizabeth Wickham, PhD, Executive Director of the Life Tree Organization, encourages us to look back to a June, 1997 NY Times story to get a better description of what Lynn believes about total sedation and withholding and withdrawing life sustaining treatment. recently was a consultant to the administrator of the Centers for Medicare and Medicaid Services. This should thrill us all that a woman who believes she has the right to murder her elderly and dying patients was a consultant to Medicare and Medicaid! Doesn’t that give you a tingle up the leg! 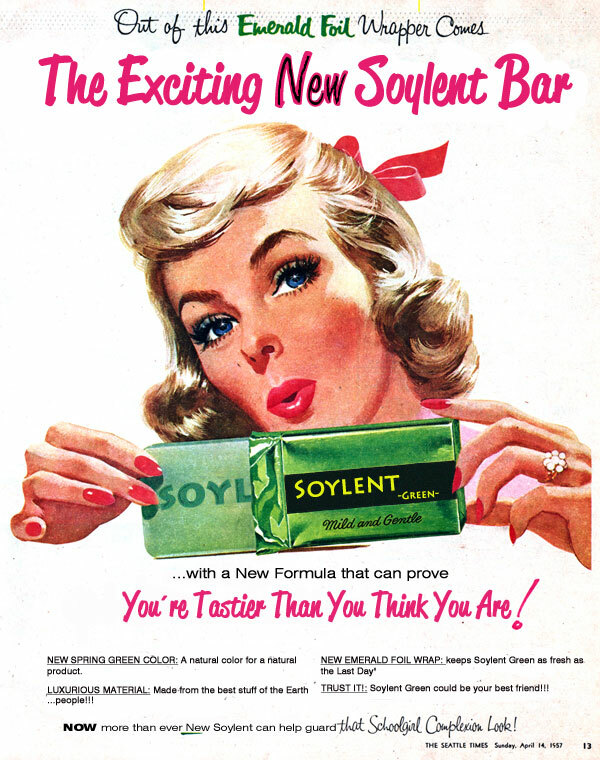 Joanne Lynn has also been a senior researcher at the Rand Corporation. Link In my article, Mind Control and Smart Growth, I explained how smart growth facilitators’ attain their pre-determined outcome via their use of the evil Rand Corporation’s mind-control Delphi Technique. RAND developed the Delphi method in the 1950s for the U.S. Department of Defense. It was originally intended for use as a psychological weapon during the cold war. Dr. Brandt was Hitler’s personal physician. The same type of euthanasia program that took place under T4 is now taking place in homes across America, but it’s all happening under the radar. Pastor Joey Faust witnessed his aunt being put to death by a morphine overdose administered by a hospice nurse. He has decided to fight back. He exposes this terrible “hidden” evil that has spread throughout America in a two part interview. Nearly all of the information in this series has come from two books, “War Against the Weak,” by Edwin Black, and Ron Panzer’s, “Stealth Euthanasia: Health Care Tyranny in America.” It is by far, the best expose of what is happening to our elderly and why. I quoted from his documentation quite liberally in this series and am thankful for his efforts. For help in locating a hospice, see Ron Panzer’s, Hospice Patients Alliance website. The majority of Americans are asleep, and in 2015 when the final stages of Obama Care kick in, the baby boomers will wonder what happened to them. It is unfortunate that most Americans have not fought the destruction of our once wonderful health care system. The forces behind the United Nations Agenda 21/Smart Growth/Sustainability are hell bent on population reduction. Their plan is to eliminate 85% of the world’s population. We are murdering our babies in the womb at the rate of 2,000 a day. 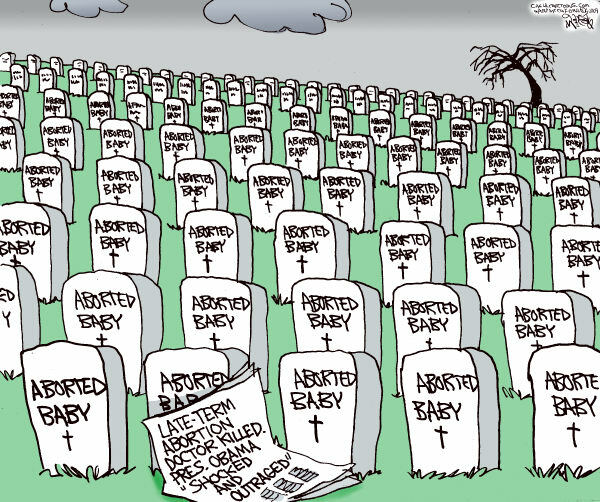 In 40 years, 60 million American babies have died at the hands of abortion providers. For 40 years we’ve also been killing our elderly with passive and open euthanasia. It is obvious our elected representatives are in on the whole agenda. In February, 2013, only 30 of the Republican representatives in the House voted to defund Obama Care. The enemy is winning. These changes have been imposed upon us without the approval of most American citizens. We are allowing the abandonment of sanctity-of-life values that formed the very foundation of American life and the greatness of our country. So many of our values are disappearing at an exponential rate, faith in God, the traditional family, the value of work and opportunity to fulfill your dreams, and most importantly, the truth from the pulpits of America’s churches and synagogues. The percentage of genuinely intelligent and compassionate persons is much lower than we had hoped. The older one becomes this discovery is rather disconcerting. Most person really are simply following a program stuck into them in school and updated by the media whatever that happens to be. The Iraq War is an excellent example of people following their programs and destroying a nation because that was in the program. Because medical school is demanding and requires a certain amount of intelligence one is apt to draw a false conclusion: doctors are smart and perceptive. But that conclusion doesn't actually follow as there are intervening factors that cut off intelligence at important places. The same holds for attorneys, professors, etc. The plumber fixing your toilet may be far more intelligent than your doctor or dentist. And be using that intelligence most of the time. What a shame. Adult stupidity probably is largely an acquired trait. Some time in childhood the environment begins penalizing those that are too intelligent and the facility shuts down. In public life the leaders are almost all stupid. It is certainly a job requirement--and the higher the job the more crucial it is that the applicant or candidate display this stupidity in most areas of life. Is Obama care a crime or a great act of stupidity? Or both? Time will tell.